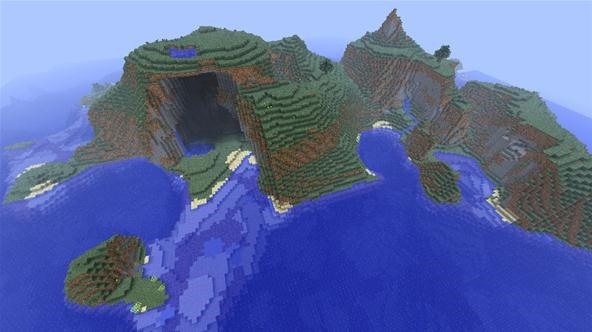 This awesome seed of survival island (Oliver Anderson) Found by A8OrAnGeJuIcE on Minecraft forums. The seed spawns you on this awesome survival mountain with a pool at highest altitude, a waterfall, a cave, a beach, and 3 trees and a great biome to work in. Enjoy it, I just wanted every body to have fun! 1.1? I need a good 1.1 Mountain seed. Sorry. this is a survival island seed. What's the seed code for this?